It is possible to demolish the spirit of the environment.Is it possible to create it again? There’s always a district of any city that becomes the place to see, to be seen and to know about. 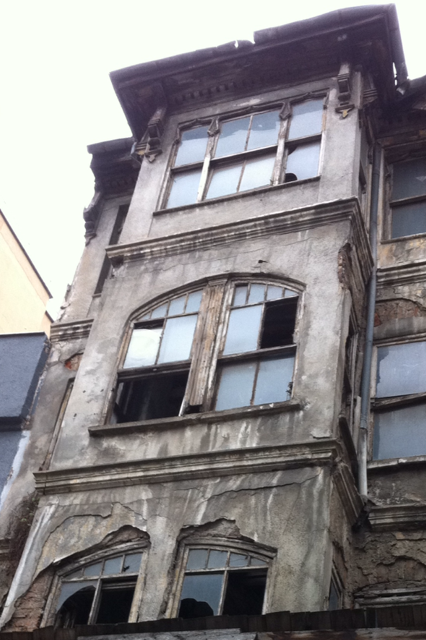 In Istanbul,this area is Cukurcuma , Beyoglu. But also this popularity causes some major problems.Such as loosing its memory and indulging the popular culture…During the last couple of years, it has been impossible to ignore this course of events in our adorable district. Faik Pasha Suits and Apartments are also in this old and unique neighborhood . Çukurcuma, is at the back streets of Beyoğlu , very close to Istiklal Street , houses many antique shops, vintage boutiques ,cosy caffés, monumental ancient buildings and design ateliers.When I bought these historical buildings of Faik Pasha Suits &Apartments at 2000 ,they were nearly tumble down because of awful neglect of the prior owners just like many others. The area was not as popular as to day.I felt that;I should protect this history, not only by renewing this houses also by using original costruction techniques and plans. Above you could see the building 41 before and after the renovation.